The STEM Education Coalition and the Afterschool Alliance have collaborated to develop a toolkit of materials to guide you through the steps of engaging with state and local policymakers. 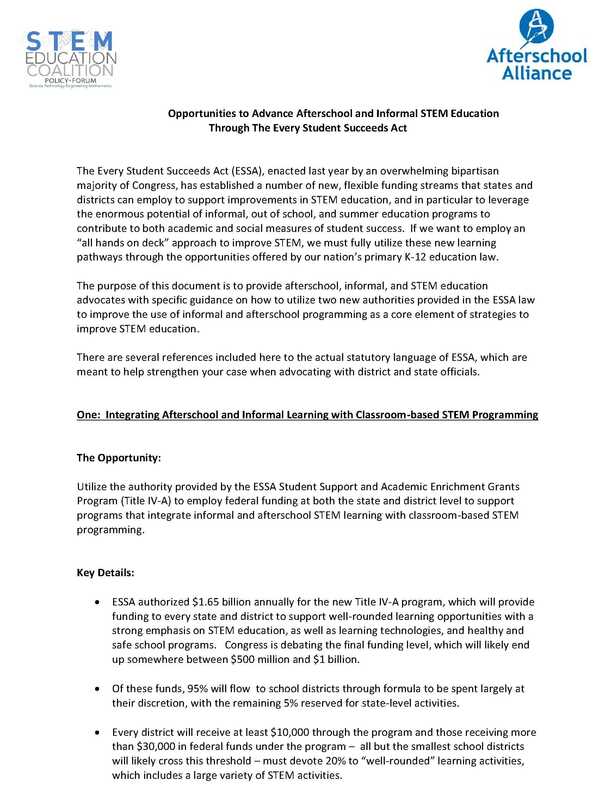 The first document to read is “Opportunities to Advance Afterschool and Informal STEM Education Through The Every Student Succeeds Act.” This document provides you with the background information necessary to get started in asking your policymakers to take action. What Else is in the Toolkit? We have included a range of background materials and fact sheets on key STEM and informal education topics. 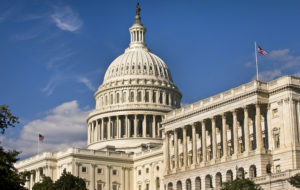 We’ve also included links to the formal guidance issued by the U.S. Department of Education to state and local educators on how to apply for federal funds to support STEM education through the ESSA. 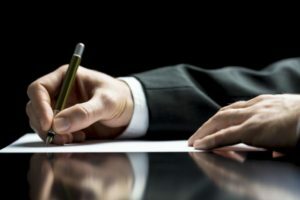 Finally, there are also links to webinars and other in-depth materials about the new education law and what it means for you. 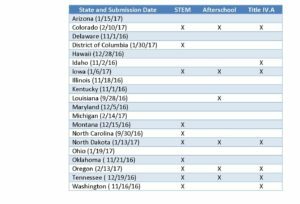 State Plans Overview: States have started submitting their ESSA plan to the Department of Education. 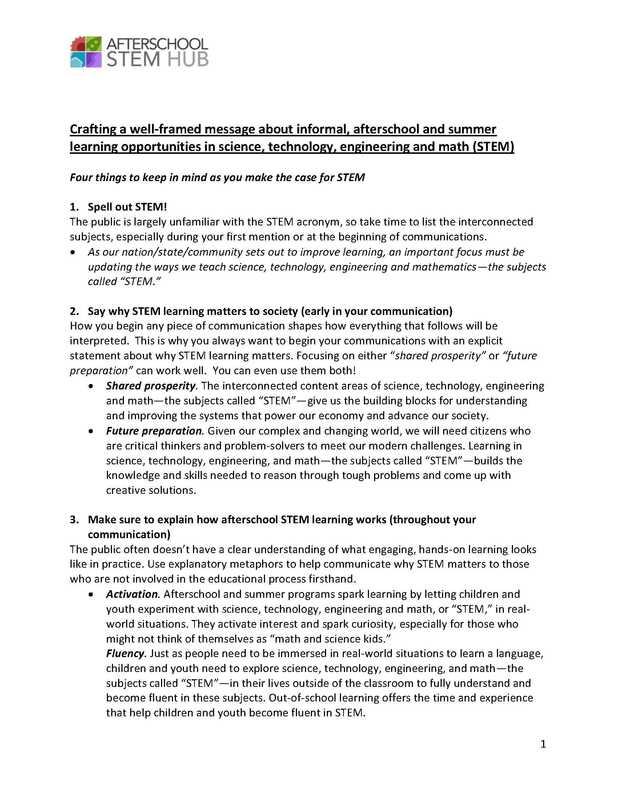 An overview of which plans contain STEM and afterschool can be found here. Webinar: "How ESSA Will Change K-12 STEM Education: What State Leaders and STEM Professionals Need to Know" hosted by the National Science Teachers Association, The STEM Education Coalition, and STEMx. The webinar recording can be found here. 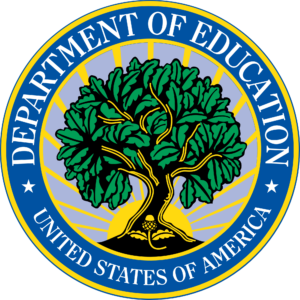 Federal Guidance: The U.S. Department of Education has released guidance on the implementation of Title II and Title IV-A of the Every Student Succeeds Act. 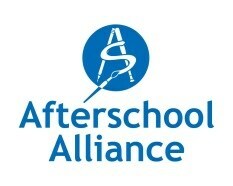 America After 3PM: The America After 3PM report is the nation’s most comprehensive household survey about afterschool programs in the United States. It provides information highlights the trends of afterschool program participation, documents the benefits associated with participation in afterschool programs and measures public support for afterschool programs. The special report on STEM examines parent perceptions, support and expectations for STEM learning within afterschool programs. The state dashboard provides information on these issues broken down by state and can be valuable data to draw on as you work to include afterschool in your state’s ESSA implementation plan. State Policymaker's STEM Playbook: This Promising Practices in Education report highlights the Utah STEM Action Center as a case study of legislation that includes three essential elements of a successful STEM program: statewide coordination, adequate funding, and evaluation. The report is here. 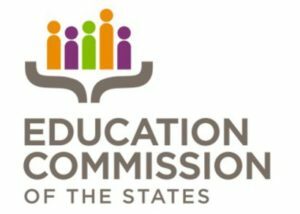 State Education Plans: A state-by-state list of opportunities for stakeholders to provide input in their state's ESSA plans can be found here. State Statistics: Change the Equation provides four-page summaries of data about STEM in your state here. 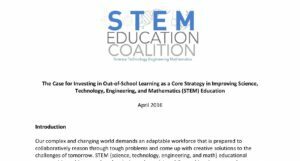 Analysis: This 10-page paper entitled, "The Case for Investing in Out-of-School Learning as a Core Strategy in Improving Science, Technology, Engineering, and Mathematics (STEM) Education," written for policymakers and education leaders, makes a strong case for why informal and afterschool learning must be an integral part of policies to improve STEM education across the board. The paper can be found here. 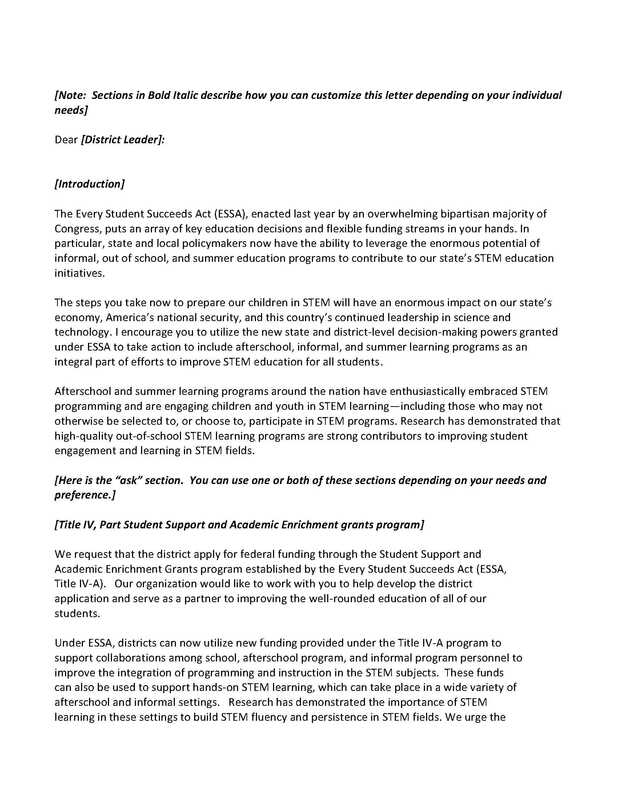 Community Support Letter: This letter to state legislators offers a series of policy recommendations related to new federal funding opportunities and decision-making powers for state and local school districts that can be used to improve the teaching and learning of the STEM subjects, especially in afterschool, informal, and out of school settings. The letter can be found here. Op-Ed: Executive Director of the STEM Education Coalition, James Brown, along with David Evans, the Executive Director of the National Science Teachers Association, wrote an article for The Hill urging policymakers to fund Title II and Title IV of the Every Student Succeeds Act (ESSA) at the highest possible level. 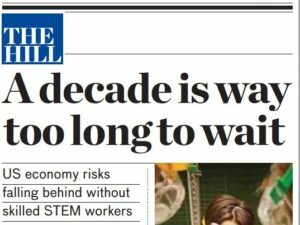 The article is entitled "A Decade is Way Too Long to Wait" and can be found here. Copyright STEM Education Coalition, Inc. All rights reserved.